Over the course of her history, 90007 has sported 3 different nameplates as well having 4 livery variations dating back to when the loco was new. 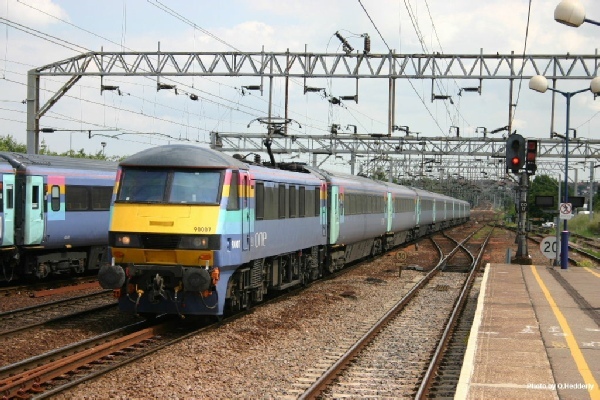 In the early 2000's, the 90 transferred to the Great Eastern region in order to replace the then aging class 86s. 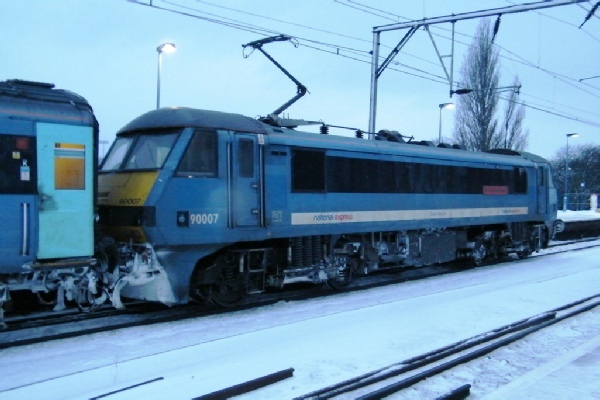 In freezing wintry conditions on this cold December afternoon, 90007 pauses at Chelmsford with the late running 14:30 service from Norwich bound for London Liverpool Street (1p45). 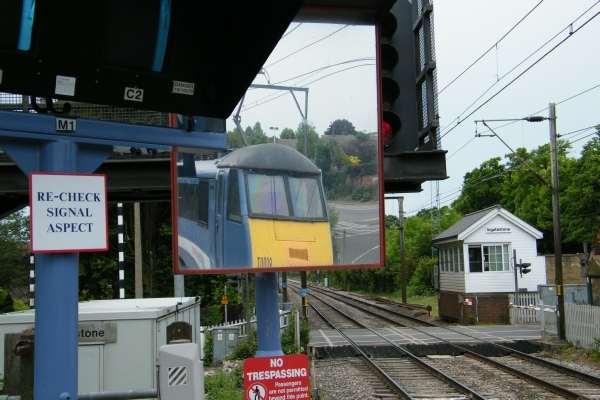 This is another shot of 90007 at Ingatestone this time against the platforms DOO mirror looking towards Shenfield. Interesting to see the old style signal box in the background which is there for the level crossing. 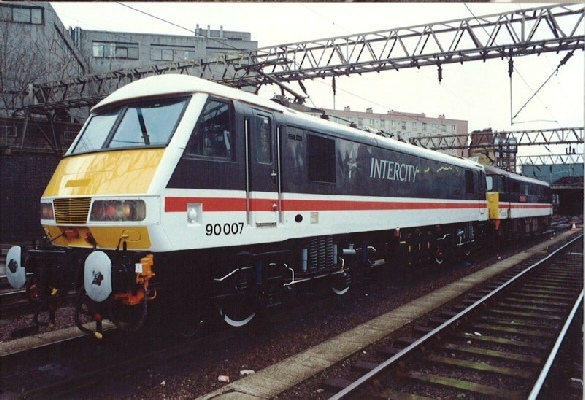 As new with non-modified headlights and looking rather clean in the iconic Intercity livery, 90007 stands in the stabling sidings at London Euston awaiting her next revenue departure. This is a shot of 90007 taken at Norwich station after arriving with the 08:00 Intercity express service (1p10) from London Liverpool Street. In the background DBS loco 90024 awaits departure with 1p27 to London. 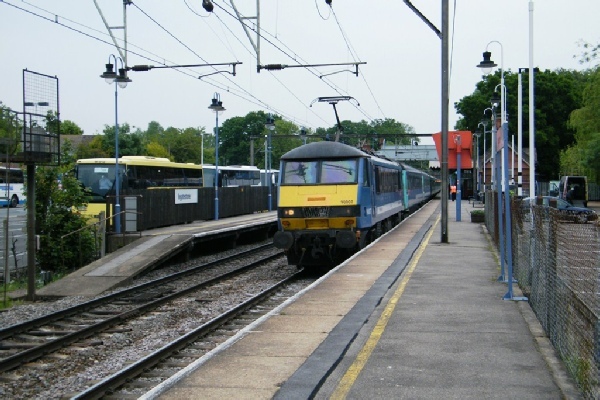 Owing to planned engineering work services from Norwich were making extra stops at Ingatestone. Here we see 90007 pause with the 09:00 service from Norwich (1p23), which continued to Shenfield where she terminated. In her Virgin Trains colourscheme and not long since it had transferred from West Coast operations, here we see 90007 at Norwich station with an ecs movement from Crown Point depot.